Anatomy of a recipe is a new feature where Circle City Zymurgy members walk you through the process of developing and perfecting either an award-winning recipe, or a recipe they are just very proud of. Our first entry is by me, Steve Kent. My classic Rauchbier, Bamberger Helper, won silver at the Hammerdown Brewcup in April, made it to mini-best of show at the UpCup, and just last month finished third in the smoke and wood-aged category at the Indiana Brewers Cup. It is a very good beer. Bavaria made sure that smoked beers wouldn’t go extinct. 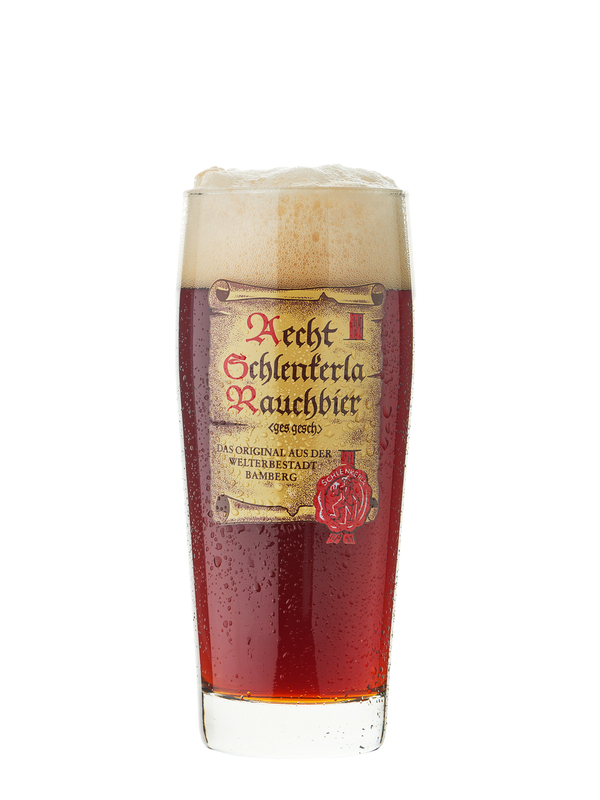 Their rauchbier (literally “smoke beer” in German) is brewed like a maltier, higher-alcohol Marzen with an unmistakable smokey flavor and aroma. Far and away the most popular exemplar of the style is Aecht Schlenkerla; and for good reason. It is an excellent beer, and if you can find it fresh (not always an easy task) it is delightful. Rauchbier was one of those styles that I knew I would love, even before I ever tried one. And when I had my first Aecht Schlenkerla at the Rathskeller, my hunch was confirmed. If you’re still on the fence, you just have to trust me. A good rauchbier is not like drinking a fire pit. When done right the smokiness is mild and serves to heighten and accentuate the clean, rich, malty flavor of the base beer. For me, rauchbier is the perfect beer for when you’re sitting in front of a fire on a March or April night; when it’s probably too cold to have a fire, but you’re too sick of winter to care. It is no coincidence that Bamberg is also the home of the Weyermann Malting Company. Their Rauchmalt, which is smoked over beechwood and is my preferred base malt for rauchbier. It clocks in at about 2.1-3.6 Lovibond and has enough diastatic power to self convert. Attempting to brew a clone of Aecht Schlenkerla is a quixotic endeavor because, depending on who you believe, they either smoke their own malt or get their smoked malt specialty made by Weyermann. So the best I could do was make the best version of a rauchbier using the ingredients available to me. Based on everything I read, a beer brewed with 100% rauchmalt has too overpowering a smoke flavor. I wanted an assertive but not overpowering smoke flavor in my rauchbier, so I settled on 65% rauchmalt. Luckily that ended up providing just the right level of smoke. This style should be light amber to dark copper in color, moderately strong, and have a rich, sweet and toasty malt character. Given this information, the instinct is to incorporate crystal malt in the recipe, but I prefer not to use crystal malts in my continental lagers; instead I prefer to achieve a malty beer using richer base malts and multi-step mash schedule. I rounded out the grain bill with 30% dark Munich malt which provides an orange color, a pleasant breadiness, and a rich, malty sweetness, 3% melanoidin for even more maltiness, and 2% Carafa III to give it that deep copper color I wanted. Even though this is a malt-forward style, I knew I was dealing with a very malty grain bill, so I couldn’t be shy with the hops. I went with about 23 IBU of Magnum for bittering. Usually a single bittering addition is enough, but I opted to add ½ oz of Tettnang hops with 15 minutes left in the boil. My reasoning was that the subtle hop flavor would help balance the maltiness better and it would allow the beer to be drinkable for a longer time. This particular beer won its two awards nearly three months apart, so I feel like that strategy worked perfectly. I perform a Hochkurz mash on all my continental lagers. This involves a beta rest at 145 degrees F and an alpha rest at 158 degrees F. Doughing in at a lower temperature allows me to better control the fermentability of their wort, and the higher alpha rest helps improve maltiness and head retention. Beers brewed with a Hochkurz mash will be well attenuated and still have a nice, malty finish, characteristic of the best German lagers. A 30 minute rest at each step followed by a mashout was sufficient. If I am not feeling lazy, I will perform a double decoction with this mash. The small differences between rest temperatures makes decocting easy. If you plan on performing a decoction, feel free to omit the melanoidin. Water is very important when making rauchbier. You 100% can not use spring water or tap water. Chlorine and smoke don’t mix. Since I didn’t want my rauchbier to taste like rubber bands, I started with a base of 100% distilled water. Beyond that, I just kept my minerals low. I used a small amount of gypsum and a moderate amount of calcium chloride; enough to get my calcium levels close to 50 ppm. Saflager 34/70 (the Weihenstephaner strain) has been my go-to yeast for most lagers. It has never done me wrong, so I figured why switch things up. I always pitch an insane amount of yeast and keep it as cold as it can possibly handle–46-48 degrees with a diacetyl rest after seven days. I wanted this beer to be clean, clean, clean. The power of the homebrewer is being able to take a beer brewed solely in a German city of 70,000 people and say, “I can do that”. There is nothing quite like a fresh homebrewed rauchbier done right. And now that you know how to do it, go out and brew it. Prost! Enjoyed the article. Thanks for taking the time to post it. Previous PostPrevious Indiana Microbrewers Festival Recap – Never too Late to Celebrate!